In this work, we propose a novel method to improve the prediction of brain tumor growth by fusing with the state-of-art tumor segmentation. The Glioma Image Segmentation and Registration (GLISTR) is known for joint segmentation and deformable registration of brain scans as well as tumor growth prediction using MRI. 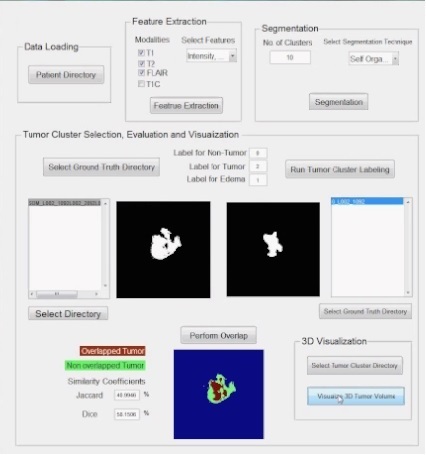 This paper, for the first time in literature, aims to improve the tumor growth prediction by integrating the growth patterns of different tissues such as necrosis, edema, and tumor obtained from GLISTR with our stochastic texture-based tumor segmentation methods using a joint label fusion (JLF) technique. We evaluate the proposed method using several adult longitudinal cases from the 2015 BRATS dataset. 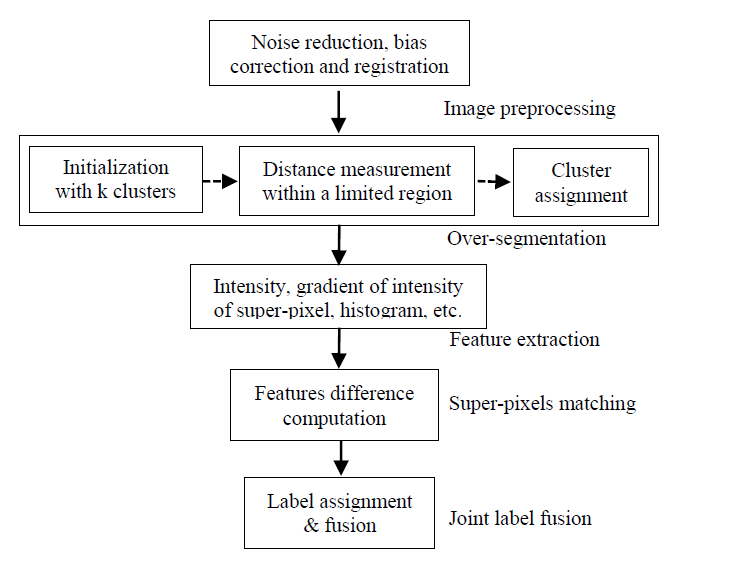 The experimental results show difference of these tissues growth prediction by applying GLISTR and joint label fusion. ANOVA analysis suggests statistically improvement in the longitudinal tumor core prediction results.